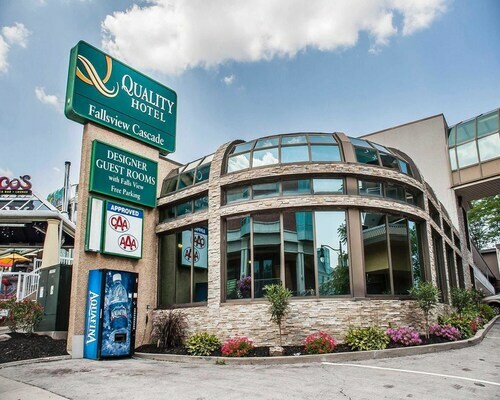 Located in Fallsview, this hotel is within a 5-minute walk of Niagara River Gorge and Fallsview Casino. Skylon Tower and Greg Frewin Theatre are also within 15 minutes. 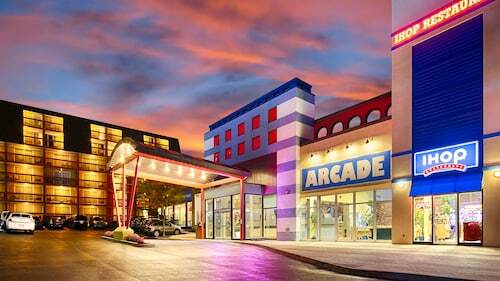 Situated on the Strip, this hotel is within a 10-minute walk of Clifton Hill, Fallsview Indoor Waterpark, and Casino Niagara. Skylon Tower and Queen Victoria Park are also within 15 minutes. Niagara Falls Station is 25 minutes by foot. 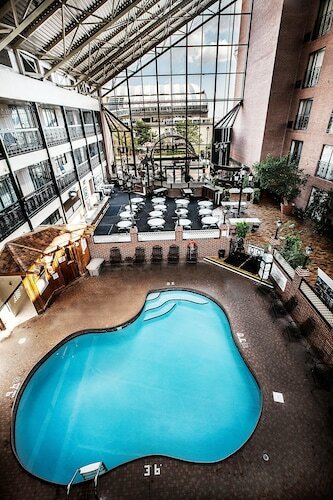 Situated in the entertainment district, this hotel is within a 10-minute walk of Fallsview Indoor Waterpark and Casino Niagara. Niagara Falls Station is 23 minutes by foot. 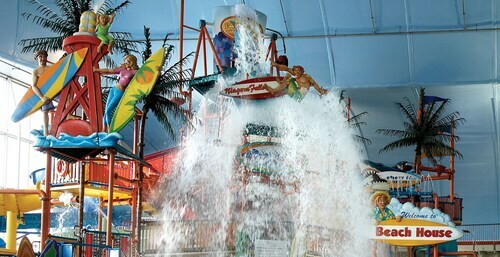 Located in the heart of Niagara Falls, this hotel is within a 5-minute walk of Niagara River Gorge, Clifton Hill, and Fallsview Indoor Waterpark. Casino Niagara and Ripley's Believe it or Not are also within 10 minutes. Niagara Falls Station is 24 minutes by foot. 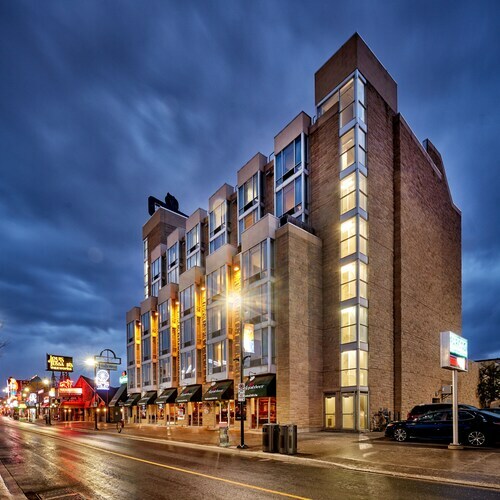 This Ontario hotel is two blocks from the attractions, entertainment, and low-cost restaurants of Victoria Avenue and Clifton Hill. Niagara Falls and Casino Niagara are four blocks away. 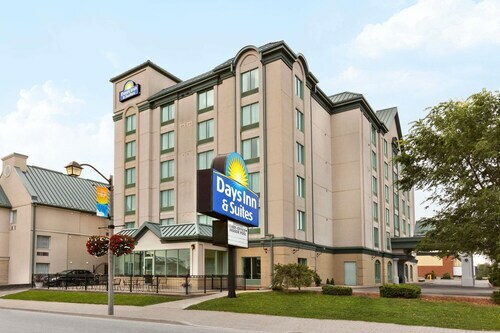 Situated in Niagara Falls, this hotel is within a 15-minute walk of Lundy's Lane, Greg Frewin Theatre, and Niagara SkyWheel. Fallsview Casino and Clifton Hill are also within 1 mi (2 km). 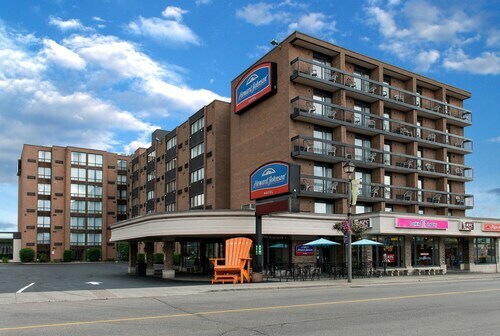 Surrounded by shops, dining, and amusements, this Ontario hotel is on a main street in the center of Niagara Falls, 1 block from the Clifton Hill entertainment complex; the Falls are 1 block away. The Niagara Skywheel, Hornblower Niagara Cruises, and Casino Niagara are also nearby. 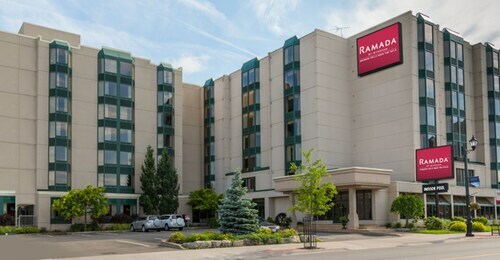 This well-located hotel is 2 blocks from the American Falls vantage point, Rainbow Bridge, and Casino Niagara; Horseshoe Falls viewing point and the Maid of the Mist boat tours are 3 blocks away. 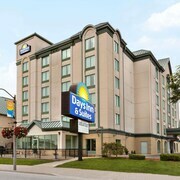 Located in Fallsview, this motel is within a 10-minute walk of Niagara River Gorge, Fallsview Casino, and Skylon Tower. Maid of the Mist and Journey Behind The Falls are also within 10 minutes. 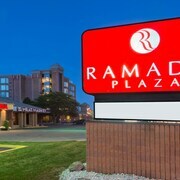 Situated in Niagara Falls, this hotel is within a 5-minute walk of Lundy's Lane and Canada One Factory Outlets. Fallsview Casino and Clifton Hill are also within 3 mi (5 km). 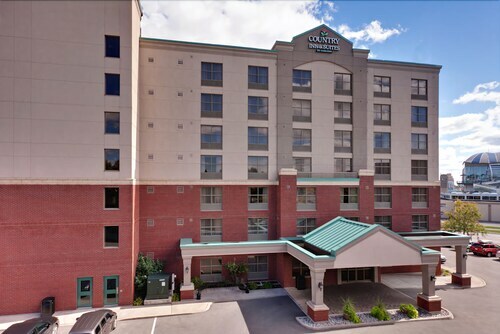 Located in Downtown Niagara Falls, this hotel is steps from Old Falls Street, Niagara Adventure Theater, and Conference Center Niagara Falls. Niagara Wax Museum of History and Observation Tower are also within 10 minutes. 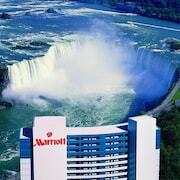 Located in Fallsview, this hotel is within a 5-minute walk of Niagara River Gorge and Fallsview Casino. Scotiabank Convention Centre and Skylon Tower are also within 15 minutes. Looking to break out of your routine for some much needed rest and relaxation? 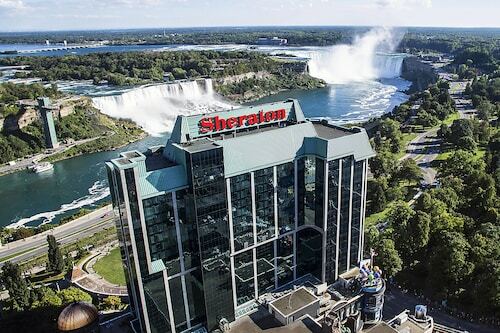 Or maybe you’ve already decided it’s time for a trip and are trying to find affordable hotels in Niagara Falls that won’t bust your travel budget? Niagara Falls 2 star hotels will give you everything you need to enjoy the city like a local, saving a ton of money so you can hit all the hot spots in town. As you explore a new locale, or one you love to visit over and over, you can rest easy knowing you’re staying in a great hotel that lets you discover Niagara Falls and welcomes you back to a clean, comfortable room at night. 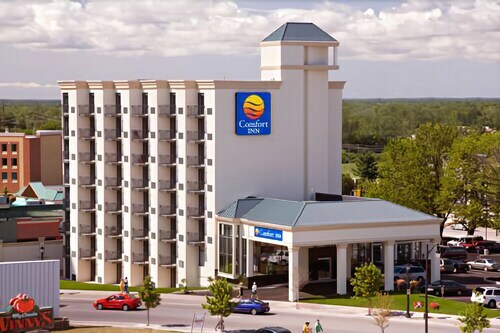 Browse Travelocity’s wide selection of 2 star hotels in Niagara Falls and find one that’s perfectly priced and places you next to all the best activities and sights. The town is your oyster, and we can help you seek out its secrets while sticking to your budget. Everything was great All the reviews that stated that the hotel was dirty it was all false you need to experience it your self! 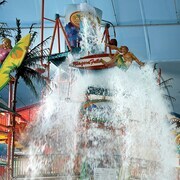 Staff was great WATERPARK was amazing my Kids loved it. We will be staying here in the future next time we travel to Canada and we will use Travelocity as well everything was great! The only negative I can give the hotel is charging for the Parking was the only negative we didn’t like but overall experience was great!!! Everything was perfect even through their renovation!